不過感到奇怪的是, 因為原本 openssl 已經有安裝了, 為什麼 Picasa 還是需要 devel package 呢 ? 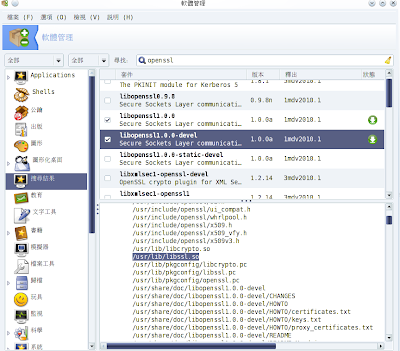 如果只是需要 libssl.so 的話, 在 openssl/libopenssl package 裡面應該就已經有了. 難不成在進行 Web Connection 時, Picasa 會作某些 Compilation 動作 ? 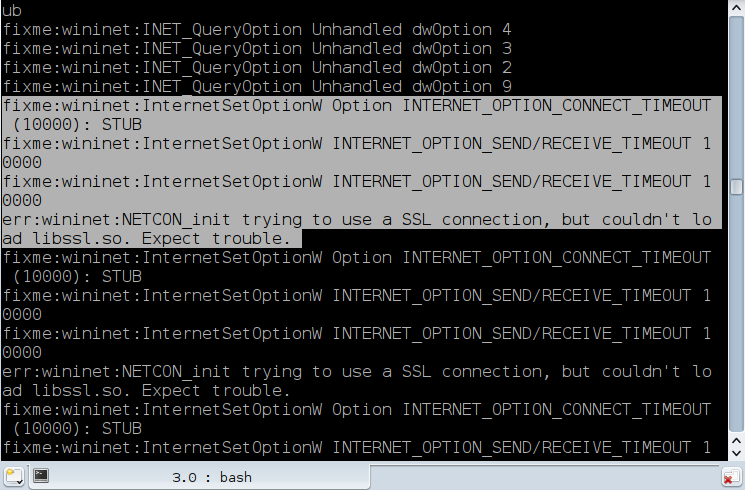 err:wininet:NETCON_init trying to use a SSL connection, but couldn't load libssl.so. Expect trouble. 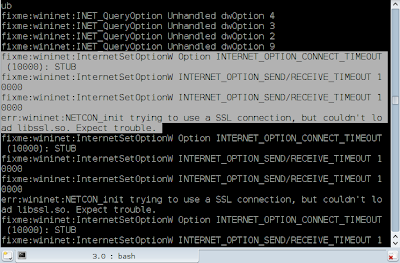 這樣 Picasa 才能夠找到 /usr/lib/libssl.so 而成功進行 Web Connection. 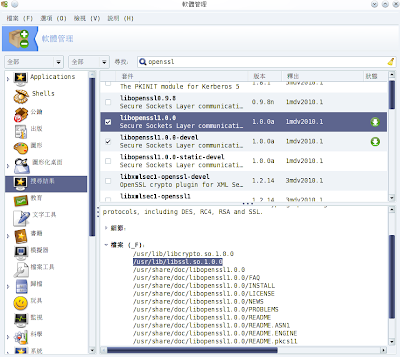 This entry was posted on 上午3:25 and is filed under linux , mandriva . You can follow any responses to this entry through the RSS 2.0 feed. You can leave a response, or trackback from your own site.